The crushed white gravel is ideal for formal garden or feature areas around your home. 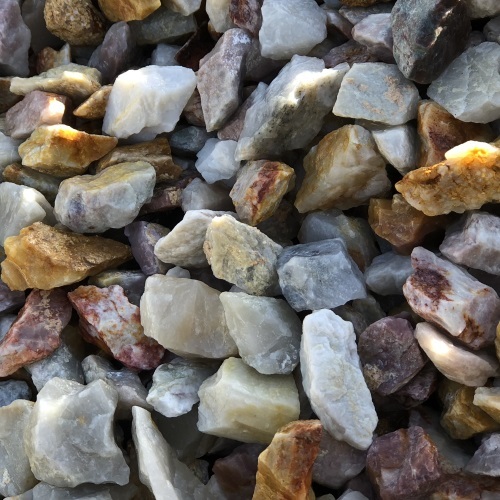 This gravel is a mix of predominately white rocks with caramel, purple and grey tones. $195 per cubic metre. (Minimum charge for this product is 1/3m3).